I endure in order to evolve, transcending synchronicity. I seal the matrix of navigation with the cosmic tone of presence. The G-Force of Cosmic Earth is Magnetic Monkey, and the Long Count kin for this Equinox is Overtone Dog. Today’s Antipode: 7.13, Cosmic Hand is comprised of the key numbers which also denote the 7 Wavespells or 13 Weeks that remain until the Cosmic Hand Solstice on December 22, 2012. The 9th Wavespell and the 9th week of the year endtoday with a very synchronistic number! The Fifth of the 7 Last Moons of the 13 Baktuns began on the new Moon, placing this Electric Moon in perfect synchronization with the Lunar cycle. This 3rd Moon of Activation and Service is coded by Kin 198: Electric Mirror, which also codes Supreme Golden Maiden. She is the Fifth Lord of Time, the central and only feminine one of the 9 Lords of Time/Bolon Tikus. There are also 13 Feminine Oxlahuntikus. Their numbers are reflected in today’s Kin: 9 x 13 = 117, and in the Gregorian date: 9 + 13 = 22. for the 22nd day of the 9th month. 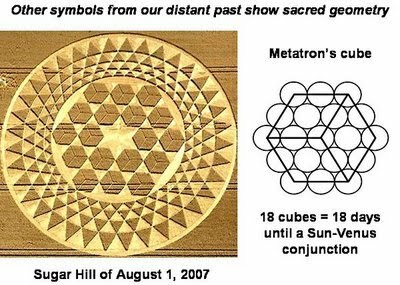 22 is also the number of crop circles reported by http://www.cropcircleconnector.com/2012/august2012.html for the month of August. One researcher interpreted this one: Wappenbury, Nr Royal Leamington Spa. Warwickshire. Reported 15th August. as referring to today’s Cosmic Earth Equinox. Today, thousands will gather at Chichen Itza to observe the Dragon descending the 91 steps of Quetzalcoatl’s Temple on the Fall [N.H.] Solstice. As mentioned in the prior post, one would expect there to be a minimum of 91 days [1/4 of a Solar Ring/Year] from today’s Eqinox until the long-prophesied 2012 Solstice. Strangely/Synchronistically, New Zealand is the only country for which that holds true. The Cosmic Star Solstice here completes the 4 Castles of the Dreamspell, so that we enter the Green Central Castle of Enchantment the following day. The Cosmic Star Solstice falls on Saturday, Silio, which marks the center of the Moon-out-of-Time. This is a fractal of this Annual Wavespell in which Cosmic Star Moon completes the 7 Storm year, followed by our Galactic Synchronization the next day. the White Mirror Wavespell Ten: Power of Endlessness. 89 days remain from 118: Magnetic Mirror until Kin 207, Crystal Hand, which codes the 2012 Solstice for the entire planet, with the exception of New Zealand. I polarize in order to equalize, stabilizing opportunity. I seal the store of death with the Lunar tone of Challenge. Today’s Long Count Kin is 7 Storm, whose Dreamspell Kin codes this last 13 Moon year of the 13 Baktuns . This period of Ten Galactic Activation Portals begins on the 11th Anniversary of 9/11/2001, the day that changed our world. 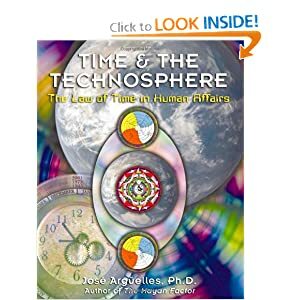 ‘Puncture in the Technosphere” which leads to the conscious advent of the Noosphere. Today is also the Eighth Anniversary of the Prophetic Message [9/11/2004] that appeared on my computer while reading the online version of The Mystery of the Stone. The next day I learned of this crop circle that appeared 20 miles from my home on Kin 220 [20.12] on the 19th day of the 12th Moon. Numbers are the ‘Language of Telepathy’. Nine Eleven alpha-numerically = 105, Pacal Votan= 105, New Zealand = 105, and Noosphere = 105. Almost two years later, TMQ calculated that August 1, 2007 was also the 27th Solar-Galactic Return of Pacal Votan. TMQ has now determined that this final year of the Thirteen Baktuns is the Red Queen’s 27th Solar-Galactic Return! Lady Ix Tz’akb’u Ajaw. Known as the Red Queen due to the red cinnabar that coated her sarcophagus, it is known that she died on 11/16/672, which was coded by the Pacal Votan Clear Sign of Lunar Human; Kin 132. A variety of synchronicities continue to confirm what I believe is her date of Birth; to be revealed soon. The name of the Red Queen: Lady Ix Tz’akb’u Ajaw = 191. Other phrases that equal the same gematrical frequency  are: The Red Queen’s Tomb; Summer Solstice [N.H.]; Winter Solstice [S.H. ]; and Sacred Valum Votan. The latter was changed [without explanation] in the CHC published after Votan’s death, but TMQ adheres to his original. TMQ’s adherence to Valum Votan’s numerous writings and talks stating that each Moon, Week and Year begin on Sunday::Dali has incurred hostility and alienation from some kin who feel they are being ‘loyal’ to Votan. Yet Valum Votan never once [to my knowledge] wrote that the Sunday::Dali connection was going to begin shifting each year, and he never corrected me about this important issue during the course of our approximately 20 visits/meetings. Valum Votan’s earlier incarnation as Pacal Votan married Lady Ix Tz’akb’u Ajaw in the year 626. The term ‘The Red Queen’ equals the SGF of 122. Eighteen Eight [my G.S.] and Noogenesis also equal 122. Most believe that the Omega Point is the December 2012 Solstice. For most of the world, that falls on December 21, here in New Zealand it is on Dec. 22, coded by Cosmic Star: 8.13. Kin 208 is on SILIO 14 Sunday. Silio is also the day we’ve been practicing the Rainbow Bridge meditation. The 8 and 13 also appear in the numbers coding the death of bothPacal: Long Count 8.13, and the Red Queen: Haab 13; Day 8. 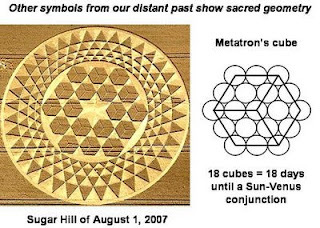 Whether 8.13, Cosmic Star kin 208 codes the last day of the Cycle, [Omega Point] or [as commonly believed] the beginning of the new, it is a most significant day. Why would there be less than 91 days between this last Equinox of the Great Cycle, and the long-prophesied December 21, 2012 Sosltice? This feels like more support for the Cycle ending on December 22, Cosmic Star. The Mystery Queen; TMQ’s full birth name; December 22; Thirteen Baktuns and Sacred Temple Thirteen. Chapter 12 of Cosmic History Chronicles 6: Book of the Transcendence is titled ‘Noogenesis–A Telepathic Art.’ Paragraph 3 states: “Noogenesis is the Birth of the Noosphere through a mental [noo] genesis, while simulteneously embodying the descent of a “Sirian” personality, hence Sirian rebirth…Extra-Terrestrial intelligence…has been generated outside of the planetary sphere for the purpose of activating the next stage of “our evolution. paragraph 4: “…The Sirian persona is a telepathic channel open to the frequency line of all beings”. The 10-in-a-row run of Galactic Activation Portals beginning today is a great opportunity to align and open ourselves telepathically, and to prepare for Noogenesis and the final Moons of the Cycle. The Seventh and final 113-day cycle: “Lord of the Dawn Self-Transcends” began on Kin 94, 3 Wizard. It’s fitting that the last ‘Quetzalcoatl Cycle’ began during this Moon coded by Kin 197. 838 days earlier, on Kin 197, Valum Votan realized that the reverse: 791, was the number of days until the December Solstice on December 21, 2012. 7 cycles of 113 days equal 791. Kin 197 also marked the beginning of Seven Cycles of 144 days which culminate with oUR Galactic Seed Galactic Synchronization in 2013. The G-Force of Kin 197 is Kin 59: Resonant Storm, today’s Long Count, and the Kin that codes this year. The only complete Wavespell within this Moon was coded by One Human: Wavespell 8: Free Will. One Human stands out for his courage to exercise Free Will on behalf of Justice and Freedom of Speech. The handsome President of Ecuador, Rafael Correa granted asylum to Wikileaks founder Julian Assange. Synchronistically, President Correa is an Electric Night who is in his Cosmic Star year; his Solar-Galactic Return is on December 22, 2012, coded by 8.13!